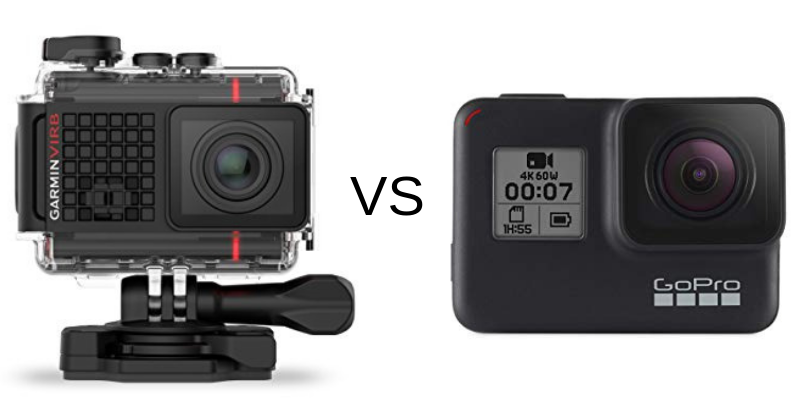 →Garmin VIRB vs GoPro: Which Brand Should You Trust? Garmin has been selling cameras for more than half a decade now. The company, better known for its GPS devices and wearables, has the VIRB that works primarily as an action camera. That puts the VIRB right into GoPro territory. 7 So, Which One Is Better? There are currently two VIRB models available: the VIRB Ultra 30 and the VIRB 360. An UltraHD action camera that delivers up to 4K videos, the VIRB Ultra 30 has a three-axis image stabilization capability that helps stabilizes your shots. It comes with a 1.75-inch touchscreen that you can use to watch playbacks of your recorded videos. The VIRB Ultra 30 has voice control, allowing you to start or stop recording and take photos hands-free. The voice command is handy if you have the camera mounted in places where you will not be able to reach it or in situations when your hands couldn’t press the button. The VIRB Ultra 30 comes with a variety of sensors, such as an accelerometer, gyroscope, altimeter, and compass. It has a global positioning system sensor that can record how far, how fast, or how high you are. It also has an onboard microphone that delivers clear audio for your videos. You can also stream your footage live on YouTube, allowing friends and family to see your progress in real time. You can do this by just using the companion mobile app. Speaking of the mobile app, it also allows you to watch, edit and then share a highlight video. For each slice of the action, you can add G-Metrix overlays to give viewers more information about that particular moment. On top of the editing suite on the mobile app, you can also use the VIRB Edit software. That is if you are more comfortable editing on a computer. With the desktop software, you are not limited to sharing only the highlights, but you can also share everything you want. The package comes with the camera and everything you need to mount and use it. 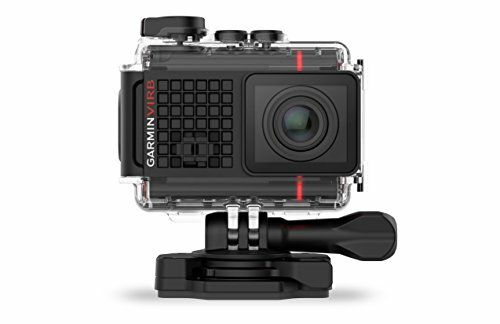 The Garmin VIRB Ultra 30 gets a rating of 4.0 stars out of 5.0 from TrustedReviews. It gets praise for its waterproof chassis, the 4K resolution, and the fact that you can opt for speedy shooting if you want it. You can even control it using your smartphone via Wi-Fi. However, they do note that it is not waterproof outside of its casing and that there is no image stabilization while shooting 4K videos. Wired.com gives it a very high score of 9/10, praising the voice command and excellent audio quality. They do think, however, that the battery life and image stabilization features could be better. Meanwhile, this gets an Amazon’s Choice label on the retailing giant’s marketplace. It garners a middle-of-the-road rating of 3.6 stars out of 5.0 from more than 140 reviewers. The camera gets a higher grade on B&H Photo and Video where it receives a score of 4.5 out of 5.0 stars. If you want something more encompassing, then take videos with the VIRB 360. This camera can capture everything around it so that your viewers can move the video all around. They can see everything from the sky to what’s behind you, and at just about any angle. The VIRB 360 sells for $800, putting it among the most expensive cameras out there. It’s a small camera, measuring 1.5 by 2.3 by 2.8 inches and weighing 5.6 ounces. However, it delivers 5.7K videos at 30 frames per second right down to 3K at 60 frames per second. You can record in time-lapse, too, as well as do some stitching on the camera itself. This camera uses spherical stabilization to help you combat camera shake, a must for the best action cameras out there. What’s more, the VIRB 360 has four built-in microphones to help you get the sound all around. This camera comes with a companion mobile app that allows you to edit, share, and stabilize your videos. It utilizes a rechargeable lithium-ion battery that gives you more than an hour of continuous footage. ZDNet gives it a “Spectacular” rating of 9.4 stars out of 10.0. They liked the 5.7K resolution, the easy-to-use buttons and interface, the water resistance, and rugged build of this camera. They also love the data overlays, as well as the straightforward editing software. But they think that the camera is a bit too expensive. They also warn that the camera can only live stream when you use an iOS device. PCMag is not impressed, however. 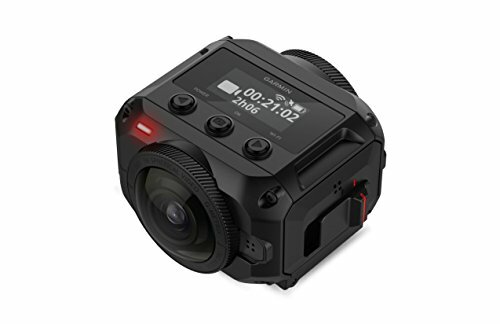 It gives the Garmin VIRB 360 a rating of “Good” or 3.0 stars out of 5.0, saying that the expensive price is not justifiable as you can get a better deal with other easier-to-use 360 cameras. Verified buyers on Amazon agree, giving this camera an average of 3.1 stars out of 5.0. Here are the highlights of both Garmin VIRB cameras that you should know. When you think of action cams, chances are, you are thinking of a GoPro. These cameras are small, and you can mount it anywhere and have it record videos of you doing all sorts of things. It looks like a cube but is rugged and waterproof. Go ahead, skydive off a plane and the GoPro will be able to handle it. It can even go with you when you swim. GoPro cameras use wide lenses that capture more of what you want to record without fiddling too much with your framing. Not only does it have wide lenses, but GoPro cameras also offer top-end resolutions, fast performance, and outstanding image stabilization. These cameras connect to your smartphone so that you can operate your GoPro from your device. You can also stream your videos live to Facebook or YouTube. But what makes it shine is the range of mounting options it offers, as well as the software. You can do anything with a GoPro camera and put it anywhere. For instance, you can take it on your bike ride. Or you can use suction cup mounts to put it anywhere. You can even use the aerial mounts to attach it to drones. We were not joking when we said you can place it anywhere. 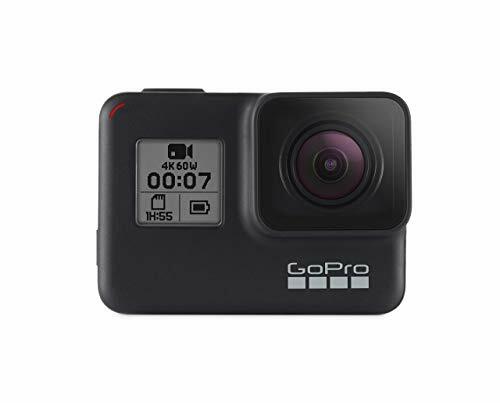 The company’s current action camera is the GoPro Hero7 Black. It uses HyperSmooth stabilization that makes it look like you shot your footage with a gimbal. The camera can send live streams to Facebook, as well as capture vivid still images and give you time-lapse footages. It delivers up to 4K UltraHD videos at 60 frames per minute or photos with up to 12 megapixels of resolution. This camera is waterproof up to five meters. You can operate it using voice control and via your smartphone. SuperPhoto: Employs noise reduction, local tone mapping, and HDR to give you the best photos without you having to tinker with too many settings. TimeWarp video: Makes videos up to 30 times faster to make sure that your videos are not boring. GPS Stickers: Shares your speed, location, and distance together with the video. Face, scene, and smile detection. Advanced noise suppression can minimize the sound of the wind in your videos. The GoPro HERO7 Black sells for around $400. It gets an average rating of 3.9 stars out of 5.0 on Amazon, with more than 500 reviewers leaving their opinions. People are amazed by this camera’s stabilization features, with videos that look like they’ve been shot on a level place while being stationary. However, some reviewers complain about how difficult it is to use. Live streaming is only for Facebook Live, and these live feeds are not in 4K. It also gets an average of 4.0 stars out of 5.0 from B&H Photo and Video. Experts, however, think highly of this product. For instance, TechRadar’s Matt Golowczynski gives it a perfect 5.0-star rating. Praising it for the 4K video and outstanding image quality. The HyperSmooth technology and TimeWarp are features not to miss out on. However, TechRadar does warn would-be buyers that its voice command feature might not be ready for prime time and that the screen can be less than responsive. Furthermore, Engadget gives this a score of 89 percent while TechAdvisor rates it 4.5 stars out of 5.0. The HERO7 Black comes in two other variations, each one with a cheaper price but has different specifications. For instance, the HERO7 Silver costs $100 cheaper but can shoot 4K videos with a slower frame rate of 30 fps. The HERO7 White is $200 cheaper but shoots only full high-definition videos. The differences and similarities among these three cameras are outlined in this side by side comparison. GoPro Fusion is the company’s entry into the 360 camera market. It costs around $600 and can shoot videos of up to 5.2K at 30 frames per second and photos of up to 18 megapixels. It can shoot 360-degree videos and photos, allowing you to share just about everything you see from the horizon to the sky to what’s behind you. With the OverCapture feature, you can convert 360 footage into a fixed perspective video or photo. This means that all you need is one GoPro Fusion camera and come up with a video that looks like it was shot using several cameras and underwent several hours of editing. This camera connects to your Wi-Fi network, which allows you to edit and share videos using the companion app. It also works with voice commands and is very rugged that it can withstand the roughest tumbles, as well as get into the water. Digital Photography Review gives the GoPro Fusion an overall rating of 3.5 stars out of 5.0, praising it for its outstanding build quality, image quality, battery life, and ease of use. However, they do note that this camera is not yet ready for primetime. It feels like it’s been rushed to market with a lot of the elements and features not quite doing it for the user. Pocket-Lint is kinder with its rating of 4.0 out of 5.0 stars. They love the OverCapture features and the excellent quality of the footage. However, they warn interested buyers that the OverCapture feature is only for iOS devices. Plus, it is quite challenging to learn how to use this camera. On Amazon, verified buyers give this camera an average rating of 3.2 stars out of 5.0. However, the GoPro Hero7 Black has better water- and weatherproofing, even without putting it in any case. It also has a slightly larger screen at two inches. Plus, it gives you time lapse videos. At the same price, Garmin VIRB Ultra 30 gives more features and information than the GoPro Hero7. When it comes to 360 cameras, however, the price difference between the Garmin VIRB 360 and the GoPro Fusion is quite substantial at $200. Reviewers generally have negative experiences with the Garmin VIRB 360, but it has better specs on paper. With video resolutions of up to 5.7K compared to only 5.2K for the Fusion, the VIRB 360 promises to deliver better videos. It can handle live streaming. 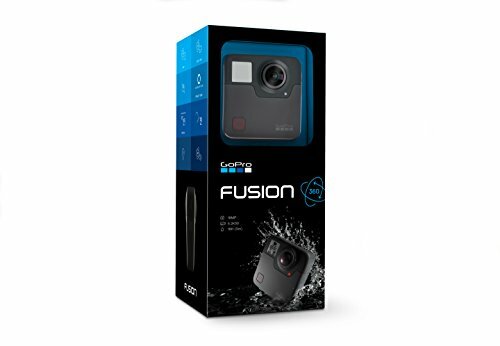 The GoPro Fusion, however, has higher resolutions for images (18 megapixels vs. 15 megapixels) and has six-axis stabilization. When it comes to these two devices, you should temper your expectations. Both are not that good when compared to prosumer cameras. Fusion videos tend to look like something shot with a smartphone camera. Still, for action shots, these will do okay. Forced to choose between the VIRB 360 and the GoPro Fusion, we’d be leaning more on the GoPro camera because it delivers slightly better videos and image quality while saving you $200. It makes Garmin feel like it’s still getting ready to get ready for primetime. The Ricoh GR vs. Fujifilm X100s: Which is Better? Canon T6s vs Nikon D5500 – Which is the Better Buy?